PIERRO (AUS) (Bay 2009-Stud 2013). Leading 3YO Male on the 2013 WTR (Sprint). Champion 2YO in Australia in 2011-12. 11 wins-6 at 2-from 1000m to 1600m, A$4,536,650, ATC Golden Slipper S., Gr.1, Sires' Produce S., Gr.1, Champagne S., Gr.1, Canterbury S., Gr.1, George Ryder S., Gr.1, Silver Slipper S., Gr.2. Out of a half-sister to SW Laverock (Longchamp Prix d’Ispahan, Gr.1). Sire of the placegetters Ipso Facto, etc. His oldest progeny are 2YOs. MOONLIGHT HUSSLER (g. by Hussonet). 2 wins-1 at 2-at 1000m, 2200m, A$122,975, to 2015-16, MRC Debutant S., L, 2d SAJC Marsh H.
Ron's Gift (g. by Flying Spur). Winner at 1200m in 2016-17 in Aust. Miss Shamardal (Shamardal). 3 wins from 1600m to 1800m, A$163,130, ATC Bronte H., STC Rosehill Event Centre H., 2d AJC Canley Vale H., ATC Egroup Facilities H., Canterbury Park H., STC Lynch Flowers H., 3d AJC Reginald Allen H., L, Bacardi Lion H., ATC De Bortoli Wines H., TJ's Champagne Bar H.
Moonlight Music. 4 wins. See above. Pontoon Fender. 4 wins at 1400m in Aust. Night Raider. Winner at 1700m in 2015-16 in South Africa. Summer Evening. Winner at 1600m in Aust. Testabolt. Winner at 1600m in Aust. Fionn's Kid. 2 wins at 1400m to 2015-16, Waikato RC Cal Isuzu H.
World Record. Winner at 1400m in 2016-17, HKJC Tai O H., 2d HKJC Centurion Restaurant H., 3d HKJC Nanjing H., Revlon H.
Dream Run. 2 wins-1 at 2-at 1100m, 1600m, 4th Hawkes Bay Lowland S., Gr.3. Western Hour (Gone West). Winner at 1¼m, 3d Newbury Ballymacoll Stud S., L. Producer. Spinjive (Cure the Blues). 4 wins-1 at 2, 3d Ellis Park Wilma C Kennedy S., L. Producer. BEAR TOUGH TIGER (Roar of the Tiger). 11 wins to 6½f, US$526,546, Woodbine Kennedy Road S., Gr.3, Allowance, 2d Woodbine Jacques Cartier S., L, 3d Woodbine Nearctic S., Gr.1, 4th Gulfstream Park Sunshine Millions Sprint S., L.
L'ENJOLEUR (Buckpasser). 15 wins-8 at 2-from 6f to 1½m, US$546,079, Laurel Futurity S., Gr.1, Woodbine Coronation Futurity S., Can-1, Queen's Plate S., Can-1, Fort Erie Prince of Wales S., Can-1, Woodbine Cup & Saucer S., Can-2, Manitoba Derby, Can-2, Winnipeg Futurity, Can-2, Fort Erie Summer S., Can-2, Woodbine Clarendon S., Can-3, Ontario Foaled S., L, Carling O'Keefe Invitational H., L, Colonel RS McLaughlin H., L, Quebec Derby, L, 3d Woodbine Breeders' S., Can-1. Sire. D'ACCORD (Secretariat). 5 wins-3 at 2-from 6f to 8½f, Keeneland Breeders' Futurity S., Gr.2. Sire. TIME BANDIT (Time for a Change). 3 wins at 2, US$210,188, Churchill Downs Bashford Manor S., Gr.3, Saratoga Sanford S., Gr.3, 2d Turfway Park Kentucky Cup Juvenile S., Gr.3, 3d Saratoga Hopeful S., Gr.1. Sire. INNOVATIVE (Time for a Change). 16 wins at 6f, 6½f, US$436,720, Turf Paradise Caballos del Sol H., L, 3d Bay Meadows Express H., L.
FRENCH BRAIDS (Flying Spur). Joint third top filly on The 1999-2000 Australasian 2YO Classification. 3 wins at 2, A$787,435, STC Silver Slipper S., Gr.2, AJC Heroic 2YO Championship, San Miguel Super Dry 2YO H. Producer. BINT ALLAYL (Green Desert). Champion 2YO Filly in Europe in 1998. 3 wins at 2, York Lowther S., Gr.2, Royal Ascot Queen Mary S., Gr.3, Sandown National S., L.Died at 3. LAA RAYB (Storm Cat). 8 wins at 1400m, 1600m, £279,019, €55,000, 94,542Dhs in GB, France and U.A.E, Deauville Prix Quincey, Gr.3, 2d Cologne Grosse Europa Meile, Gr.2, Salisbury Sovereign S., Gr.3, 3d Newmarket Challenge S., Gr.2. KHELEYF (Green Desert). 3 wins-2 at 2-to 7f, Royal Ascot Jersey S., Gr.3, Doncaster GNER 2YO S., 2d Royal Ascot Norfolk S., Gr.3, 3d Goodwood Lennox S., Gr.2. Sire. EMMROOZ (Red Ransom). 5 wins-1 at 2-from 1600m to 1950m in GB and U.A.E, Jebel Ali S., L, 2d Jebel Ali S., L.
HILL OF GOLD (Exceed and Excel). 6 wins at 1200m, 1400m, NZ$103,400, CJC Great Easter H., L, Otago RC Dunedin Casino H.
MEDAILLE D'OR (Secretariat). Champion 2YO colt in Canada in 1978. 3 wins at 2, Woodbine Coronation Futurity S., Can-1, 2d Woodbine Cup & Saucer S., Can-2, Winnipeg Futurity, Can-2, 3d Fort Erie Summer S., Can-2. Sire. ERUPT (Dubawi). 5 wins at 2200m, 2400m, £32,684, €682,880, US$456,540, to 2016, Woodbine Canadian International S., Gr.1, Longchamp Grand Prix de Paris, Gr.1, Chantilly Prix du Lys, Gr.3, Lyon-Parilly La Coupe des Trois Ans, L, 2d Grand Prix de Saint-Cloud, Gr.1, 3d Grand Prix de Deauville, Gr.2, 4th Longchamp Prix Niel, Gr.2. LOCAL TIME (Invincible Spirit). 7 wins-3 at 2-from 1400m to 1900m in GB, Turkey and U.A.E, Newmarket Oh So Sharp S., Gr.3, Istanbul Trophy, Gr.3, Meydan UAE Oaks, Gr.3, UAE One Thousand Guineas, L.
ALEGRIA DE POBRE (Dancer Man). 12 wins-1 at 2-from 1100m to 1900m in Brazil, Cidade Jardim G.P. Presidente Roberto Alves de Almeida, Gr.2, Taruma Classico Primavera, L, Cidade Jardim Clássico Donética, L, Classico Presidente Luiz Nazareno Teixeira de Assumpcao, L, Gavea Prova Especial Jockey Club de Campos, 2d Cidade Jardim Classico Presidente Joao Tobias de Aguiar, L, Gavea Prova Especial João E Jorge Jabour, 3d Cidade Jardim G.P. Presidente Antonio Grisi Filho, Gr.2. TIAMO GRACE (Monaco Consul). 2 wins at 1350m, 2000m, A$245,600, in 2016-17, VRC Wakeful S., Gr.2, 2d MRC Ethereal S., Gr.3. ELEGANT COMPOSURE (Bradbury's Luck). 7 wins to 1400m, A$183,000, to 2016-17, Qld Tatt's RC Memorial Classic, L, BRC Urban Office Fit Outs H.
I AM A STAR (I Am Invincible). 4 wins-2 at 2-from 1100m to 1600m, A$636,450, to 2016-17, VRC Myer Classic, Gr.1, MRC Quezette S., Gr.3, SAJC National S., Gr.3, VRC Phar Lap Club 2YO P., 2d MRC Thousand Guineas, Gr.1, 3d Moonee Valley Fillies Classic, Gr.2, 4th MRC Thousand Guineas Prelude, Gr.2. HINZ (Pure Prize). 10 wins-1 at 2-from 1000m to 1600m to 2016-17 in Chile, Hipodromo Chile Clasico Dos Mil Guineas, Gr.1, Clasico República del Perú, Clasico Radio Agricultura, Premio Odiseo, Clasico Bomberos de Chile-3 times, 2d Hipodromo Chile Clasico Asocacion de Propietarios de Caballos FS de Carreras, Clasico Ciudad de Santiago, Clasico Gran Ducato, Clasico Cencerro, Clasico Oakland, 3d Hipodromo Chile Clasico Telecanal, Clasico Comité Olímpico de Chile. HI HAPPY (Pure Prize). 6 wins-1 at 2-from 1600m to 2500m in Argentina, San Isidro G.P. Dos Mil Guineas, Gr.1, G.P. Jockey Club, Gr.1, G.P. Carlos Pellegrini, Gr.1, Palermo G.P. Nacional, Gr.1, San Isidro Clasico Ensayo, Gr.2. HISPANIDAD (Pure Prize). 2 wins-1 at 2-at 1600m to 2016-17 in Argentina, Palermo G.P. Polla de Potrancas, Gr.1, 2d San Isidro G.P. Mil Guineas, Gr.1, Palermo G.P. Seleccion, Gr.1, Clasico Ramon Biaus, Gr.2, 3d San Isidro G.P. de Potrancas, Gr.1. SACRED EYE (High Chaparral). 2 wins at 1300m, 2000m, A$424,650, in 2015-16, MRC Caulfield Classic, Gr.3, 2d VRC Edward Manifold S., Gr.2, 4th SAJC Schweppes Oaks, Gr.1, ATC Adrian Knox S., Gr.3. FLYING SPUR (Danehill). Second on The 1994-95 Australasian 2YO Classification. 6 wins-3 at 2-from 1000m to 1600m, A$2,051,090, STC Golden Slipper S., Gr.1, Australian Guineas, Gr.1, AJC All-Aged S., Gr.1, STC Peter Pan S., Gr.2, VATC Blue Diamond Prelude, Gr.3, 2d VATC Blue Diamond S., Gr.1, Futurity S., Gr.1, STC Hill S., Gr.2, AJC Up & Coming S., Gr.3, VATC Zeditave S., L, 3d VRC Sires' Produce S., Gr.1, STC George Ryder S., Gr.1. Champion sire. ENCOSTA DE LAGO (Fairy King). 3 wins from 1200m to 1600m, A$469,850, VATC Vic Health Cup, Gr.1, VRC Ascot Vale S., Gr.2, MVRC Bill Stutt S., Gr.2, 3d VATC Caulfield Guineas, Gr.1, VRC Maribyrnong P., Gr.2, VATC Debutant S., L. Champion sire. MONTELIMAR (Alleged). 2 wins at 1¼m, Curragh Gallinule S., Gr.2, 2d Curragh Tattersalls Gold Cup, Gr.2, Mooresbridge S., L. Sire. NOOR AL HAWA (Makfi). 4 wins-1 at 2-at 1600m, 1700m, €137,400, to 2016 in France and Germany, Düsseldorf Grosse Europa Meile, Gr.3, Grosser Preis der Landeshauptstadt Düsseldorf, Gr.3, 2d Dortmund Grosser Preis der Wirtschaft, Gr.3, 3d Cologne Mehl Mülhens Rennen, Gr.2. MAJESTIC JASMINE (New Approach). 4 wins from 1800m to 2000m in Ireland and Germany, Hannover Grosser Preis der Hannoverschen Volksbank, L, Leopardstown Irish Stallion Farms Fillies H.
BLACK SPIRIT (Black Minnaloushe). 8 wins-1 at 2-from 7f to 11f, £147,062, €27,650, US$82,765 in GB and U.S.A, Newbury Arc Trial S., Gr.3, 2d Sandown Gordon Richards S., Gr.3, Royal Ascot Wolferton H., L, 3d Deauville Prix Guillaume d'Ornano, Gr.2. BONNDADDY'S (B. G.'s Drone). 11 wins-1 at 2-to 6½f, US$312,540, Sunland Park Mt Cristo Rey H., L, Albuquerque Casey Darnell Pony Express S., L.
MI DOMSCAT (Dominique's Cat). 8 wins-1 at 2-to 6½f, Albuquerque Don Juan de Onate S., L, 4th Zia Park New Mexico Classic Cup Championship S. (c&g), L.
MEDICI (Sir Cat). 4 wins-1 at 2-from 1500m to 2200m in Chile and Saudi Arabia, Hipodromo Chile Gran Premio St Leger, Gr.1, Clasico Luis Vera Calderón, 3d Hipodromo Chile G.P. Criadores, Gr.2, 4th Hipodromo Chile Clasico Dos Mil Guineas, Gr.1, Gran Criterium, Gr.1. NUHDIS (Distorted Economy). 4 wins-2 at 2-to 1300m to 2016-17 in Chile, Hipodromo Chile Clasico Juan Cavieres Mella, Gr.3, 2d Hipodromo Chile Clasico Selección de Potrancas, Gr.3, 3d Hipodromo Chile Clasico Alberto Vial Letelier, L.
TALETOBETOLD (Tale of the Cat). 8 wins-2 at 2-to 6f, US$469,550, Churchill Downs Open Mind S., L, 2d Churchill Downs Mariah's Storm S., L. Producer. RUSSIAN REVOLUTION (Snitzel). 4 wins-2 at 2-at 1100m, 1200m, A$395,225, to 2016-17, ATC Roman Consul S., Gr.2, MRC Vain S., Gr.3, ATC Can Assist Volunteers 2YO P., Schweppes 2YO H., 4th VRC Coolmore Stud S., Gr.1. SAUCY AFFAIR (Sauce Boat). 13 wins-1 at 2, Longacres Tukwila S., L, 3d Bay Meadows Rancho del Charro H., L.
CONSERVE (Boundary). 10 wins-1 at 2-at 1m, 8½f, US$628,132, Churchill Downs Firecracker H., Gr.2, Keeneland Maker's Mark Mile S., Gr.2, Seattle Slew S., L, Allowance, Allowance 3YO, 2d Fair Grounds Mardi Gras H., L, 3d Churchill Downs American Turf S., Gr.3, 4th Fair Grounds Colonel ER Bradley H., L.
PLETHORA (First Samurai). 3 wins at 6f, 1m, Northlands Park RK (Red) Smith H., L, 2d Northlands Park Wild Rose H., L.
LONG LASHES (Rock Hard Ten). 3 wins-2 at 2-from 6f to 8¼f, Newmarket Sweet Solera S., Gr.3, Curragh Ballygallon Stud S., L, 2d Sandown Atalanta S., L, 3d Meydan Balanchine S., Gr.2. EXHI (Maria's Mon). 6 wins-1 at 2-at 8½f, 9f, US$807,917, Keeneland Lexington S., Gr.2, Ben Ali S., Gr.3, Woodbine Marine S., L, Victoria Park S., L, Turfway Park Rushaway S., L, 2d Keeneland Fayette S., Gr.2, Mountaineer Park West Virginia Derby, Gr.2, 4th Parx Racing Pennsylvania Derby, Gr.2. Sire. ALIGNEMENT (Pivotal). 4 wins-1 at 2-at 1600m, 1800m, €94,050, to 2016, Clairefontaine Prix Pelleas, L, Maisons-Laffitte Prix Commandeur. HOLY ROMAN EMPEROR (Danehill). Champion 2YO colt in France in 2006. 4 wins at 2, £53,800, €523,023, Curragh Phoenix S., Gr.1, Longchamp Grand Criterium, Gr.1, Curragh Railway S., Gr.2, Leopardstown Irish Stallion Farms 2YO S., 2d Curragh National S., Gr.1, Newmarket Dewhurst S., Gr.1. Successful sire. PRETTY PERFECT (Galileo). 3 wins-1 at 2-from 7f to 1½m, £71,114, €103,285, US$345, to 2016, Cork Munster Oaks, Gr.3, Navan Salsabil S., L, 2d Doncaster Park Hill S., Gr.2, Naas Blue Wind S., Gr.3. BIG VIKING (Theatrical). 2 wins-1 at 2-at 1800m, 2000m, Mainichi Broadcasting System Sho Kyoto Yonsai Tokubetsu, Jpn-3, 3d Tokyo Meguro Kinen, Jpn-2. HEART OF OAK (Woodman). 6 wins from 1300m to 1600m in Ireland, Germany and Sweden, Hannover Toto Lotto Sprint Preis, L, Jagersro Per-Erik Pramms Minneslopning, L. Sire. ZELSNITZ (Snitzel). 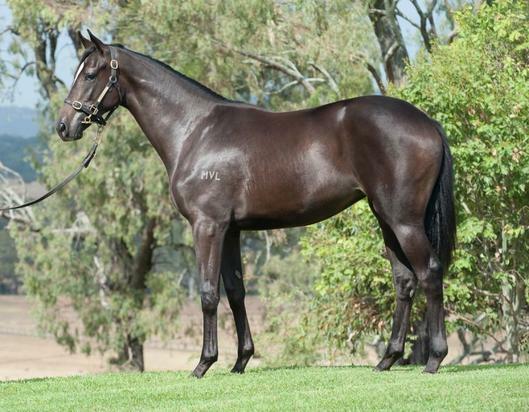 2 wins at 1200m, 1400m, A$84,990, MRC Twilight Glow S., L, 3d VRC Desirable S., L. Producer. ROYAL OCEAN (Fastnet Rock). Winner at 1600m, SAJC Morphettville Guineas, L, 2d MRC Melbourne Cup Tour P.